Outsourcing sales is becoming an increasingly popular choice amongst businesses of all sizes as it allows them to increase efficiencies and increase sales revenues, quickly. Thousands of companies who've switched to an external sales model not only enjoy the time and cost savings it brings, they're also getting better sales results. 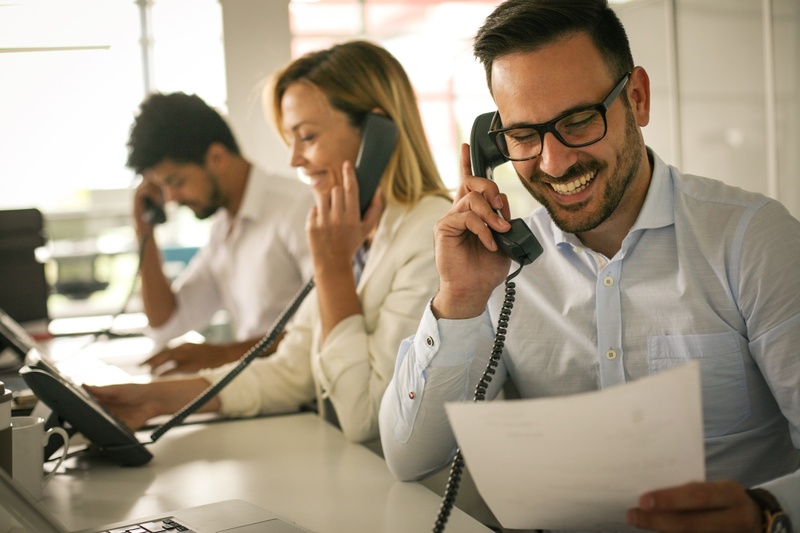 Despite all of the benefits, there's some misinformation out there about what sales outsourcing really is, and how external teams can seamless supplement existing processes. In this blog, we debunk some of the most common misconceptions about sales outsourcing. Want to work out if outsourcing sales is right for your business? Download the PDF now. Many managers and owners worry they won't have control over an outsourced sales development team, when in fact the opposite is true. Partnering with an external team, you remain completely in charge. All strategic direction comes from your business with the outsourced team working to this brief. You'll find that you're still in the driver's seat as your sales and revenue grow exponentially, giving you a lot more time on your hands to focus on the things that matter. Outsourcing actually frees up time as you won't have to manage the sales team directly. You might not like the idea of paying another company to manage sales for you, and might think it’s not an affordable option but managing an internal team is costly, in both time and money. You'll need to organise training, keep your sales team up-to-date with the latest technologies, provide equipment and ensure they have the skills to make the most out of it. On top of this are all of the overhead costs that come with employing staff. Data from The Bridge Group's Sales Development Metrics and Compensation report showed companies spend 26% of their time on training, yet it results in positive productivity for less than a year (https://blog.hubspot.com/sales/sales-outsourcing). With an outsourced team you're simply paying for results. In return, you get a team of highly skilled and experienced experts ready to get results. That means no time spent on recruiting, hiring, and training and no money spent on salary and benefits. Comparing the ongoing costs of even one new hire to the finite price of an experienced lead generation company puts the choice into perspective. Outsourced partners are accountable for all sales results and activities. As an extension of your business, they are responsible for all operations associated with sales and provide frequent reports. Through years of experience, external teams understand best practice and know how to get results, so you know you're getting the best possible results. You'll also receive constant reporting, monitoring of minutes, and advanced analytic sharing, providing further insight and opportunities for your business. Misconception #4: Lack of product knowledge. This can be solved by the fact that Outsourced teams are generally highly experienced across multiple industries, products and services and the key to great sales isn’t necessarily a great product all the time - it’s about experience, customer trust, rapport, all of which a season sales professional will have. Don't let unfounded fears get in the way of what could be a great opportunity for your company. If you're looking for improved sales performance, and increased efficiencies and revenue while remaining in control of the strategic direction of your company, outsourcing could be the answer. It could be best option for overhauling your sales team and driving growth. Has this article got you thinking? You can read more about how to evaluate if outsourcing sales is right for your business here.